Gilster-Mary Lee Corporation is one of the country’s leading manufacturers of private label products. The company’s headquarters are located in Illinois, USA. On the 12th of August, 1895, the Gilster Milling Company was established by siblings who wanted to enter the business of flour milling. Under this company, flour products under several brands (Featherlite, Mother’s Joy) were sold in the market. During those times, baking from scratch was the norm and Gilster’s wheat flour was very popular for making biscuits and cakes. After a few years, the company’s products were already being marketed throughout Alabama, Mississippi and other areas of the South. In 1957, scratch baking was no longer popular and the company began to diversify. It started to produce other products for private labels such as cake mixes, drink mixes and different potato products. It also started its expansion by launching operations at Chester, Illinois. In 1961, the company faced problems as some family members wanted to pull out from the business. In order to remain financially stable, the company went into a merger with Martha White Mills, a leading company in the Southeastern United States. This partnership enjoyed success over the next several years. From 1962 to 1968 Gilster-Martha White completed acquisitions to further expand their business. However, in 1969, conflict within the company arose again, resulting in some leaders withdrawing from the company. These leaders then founded the Mary Lee Packaging company. 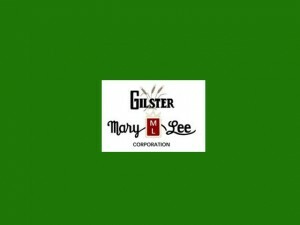 After a few years of competition, Gilster and Mary Lee decided to merge and by 1971, stockholders of Mary Lee took over the management positions at Gilster-Mary Lee Corporation. In the 1980s, the company entered into a number of new product lines, including ready-to-eat cereals. In 1985, Gilster-Mary Lee became the first company to produce private label microwaveable popcorn. From 1987 to 1989, the company expanded operations in its private label cereal production. In 1989, the company also expanded its private label pasta production and entered into the production of cocoa for private labels. By 1991, because the company was presented with challenges in warehousing and transportation, it underwent a revision in its logistics and constructed a distribution facility in the area of McBride, Missouri. After a few more challenges in the succeeding years, Gilster-Mary Lee continued to expand and remained stable. Currently, it makes around 8,000 products for around 500 private brands, These products include breakfast cereals, baking mixes, drink mixes, pasta and much more. Gilster-Mary Lee now has 14 production facilities in Arkansas, Missouri and Illinois. Its products are also sold worldwide. Why is it that nobody ever mentions the names of the founders of Gilster Mary Lee ? We know they were part of the Welge family but what were their names ?